a statement; you could make it speech by adding quote marks, a full-stop to finish the statement, or a conjunction (and/but...) to add a qualifying phrase. who is making the statement: an off-page narrator, or a person implicit in the story? Jocelyn Armby - is a precise rendition of a female name. Do you refer to your friends as such? Jocelyn Armby - from the name alone, how old is this person? liked to be frightened - use of past tense could mean the usual past tense of current-time fiction, or it could mean that Jocelyn Armby no longer likes to be frightened. Why? frightened - everyone's threshold is different. For some people a painted clown jumping up and saying Boo! is frightening; for others the painted clown itself is frightening. What is Jocelyn Armby's threshold? Jocelyn Armby - is this a person, or an avatar? #Ebook Price Rise - Buy! Buy! Buy! I hope everyone had a great Christmas with family and friends. As we slump out in the nuts, choccie,fruit & alcohol lull before the New Year celebrations, please be aware that this is the final buying weekend of the year. On Thursday January bursts through our doors with promises of Health, Wealth & Happiness. At that precise moment the European Union slams a price rise on all downloadable digital items via its VAT "readjustment", and has the brass-neck to declare that micro traders in the rest of the world uphold its onerous regulations and collects, and passes on, its taxes. So if you have your eye on a downloadable game, or a craft design, or a list of ebooks, DO NOT DELAY. On Thursday you'll find they will cost substantially more - in the UK approximately 17% more. Buy - buy - buy! Now. Okay, stop laughing and concentrate for a minute. Cliches become cliches because of overuse, but that doesn't mean they should be disregarded altogether. They need to be interrogated, and then turned on their heads. a spoken question - and the single speech marks, just like the double quote marks below, are not a mistake; it's the way we punctuate in the UK. Reverse them if you'd prefer. you - who is "you"? "You" can be a single person or an entire group of people. is the speaker the narrator? why is the question being asked? Clue: because he/she doesn't know. therefore, what is happening around the speaker that is so out of his/her norm that the question needs to be asked? Be festive. And I suggest you interrogate that word, too, before jumping to the nearest conclusion. Have a great mid-winter... festival! ...felt sticky - note the 'felt'. Why not looked? ...sticky with what? Think smell, taste, temperature - use the five senses. ...my palm - denotes a first person narrator. Or does it? Add more questions of your own and go for it. Join me again next Wednesday for another Writing Prompt, or drop by Prompt #1 and Prompt #2 to kickstart your writing. Here's the second in the series. The He denotes that someone else is seeing this person - and give the reader a break... please don't make the narrator an off-page omniscient entity. a tall man - why would the narrator mention this? Why not just a man? Because his being tall means something to the narrator. Why does it? calf-length overcoat - this is a specific observation. Again, why? Is it out of the norm dress for other people on the street? There is no full-stop (period) given. Should there be more to the sentence? With no clue given, the narrator could male or female or a child (dependent on age - articulating calf-length coat), and could convey the story in a third or first person viewpoint. Drop by next week for Wednesday Writing Prompt #3. Oh dear, the writing life gets worse. Now we are being advised by our own UK Government to break the law - so long as we don't go moaning back to it when we get hit by the consequences. This follows on from my blog about imminent price rises on ebooks due to a change in the way VAT (Value Added Tax) is applied to sales throughout the European Union, all 28 countries. Businesses making digital sales will have to apply VAT at a rate dependent upon where the purchaser lives. Except, of course, that most digital-only sales are made via email addresses which aren't boundary defined. Micro businesses - that's what we are now, according to the government, no longer sole traders - have only just found out about this which comes into effect on 1st January 2015. As a consequence a last minute challenge is being promoted via Change.org asking the Secretary of State for Business, Innovation & Skills to uphold the current VAT exemption threshold, which this new EU Directive drives a juggernaut through. Earlier today Vince Cable MP responded. I shall not bore you with my thoughts but instead point you to the blog of Penny Grubb, writer and past Chair of the Authors' Licensing & Collecting Society, so she understands the finer points and can untangle the tangles far better than me. And she does so. With gusto. If Vince Cable's ears aren't burning it's because he's made turning a deaf ear into an artform. The late Joseph Heller, American satirical novelist and author of Catch 22, will be sitting on his cloud, weeping with laughter. 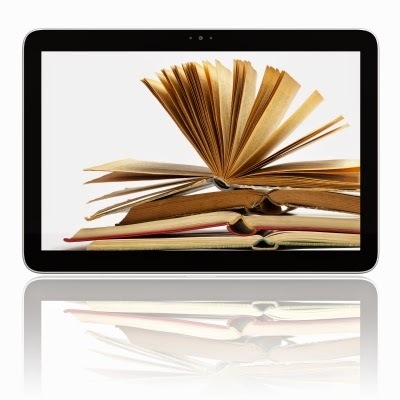 If you are a reader of ebooks and live in the EU - including the UK - be warned that from 1st January 2015 the prices of your downloaded ebooks are set to rise. How much by? By a minimum of 17%. And which supplier of whatever commodity could absorb such a price rise and not pass it on to its consumers? This has arisen because the EU, in its wisdom, has decided to re-apply the rate of VAT (Value Added Tax) not based on the supplier's country of origin, but on the consumer's country of origin - and in the process amass a weight of bureaucratic paperwork enough to sink the entire continent. And having sold just a single ebook (or anything downloadable, be it a song, a game, a teaching class, etc) the supplier will be trapped in interminable paperwork *forever*. And the inequity of the entire thing? I can sell one of my paperbacks in the UK, any distributor can sell a copy of one of my paperbacks in the UK, and no VAT is chargable. I, they, sell the same title as an ebook and 20% VAT has to be applied. And the unelected heirarchy in the EU want to know about it. And about you, the purchaser. Big Brother is not only watching, but wants the information, probably in triplicate. It's not often I get political, but I do get angry. 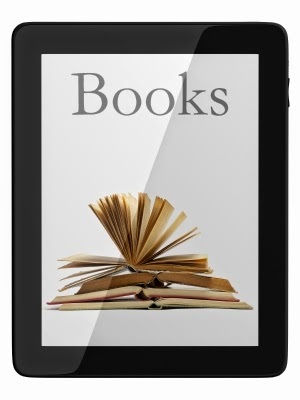 My advice to readers of ebooks? Download your wishlist before Big Ben chimes in the New Year. For those creeping - or screaming - over the NaNoWriMo deadline of 50,000 words, well done you! I hope you find the November Wednesday editing tips useful in the days to come. For those who wished they'd had a go, it's never too late to start. For those who'd prefer a little hand-holding, my new series of Wednesday Writing Prompts could well help you out. Note the laid - this denotes a past tense conveyance. Note that there is no mention of an actual bed. Do you want to add a full-stop (period) to that phrasing, or add more words? Do you want to enclose the entire phrase in speech marks? Who might be speaking those words? To whom are they being addressed? And why? 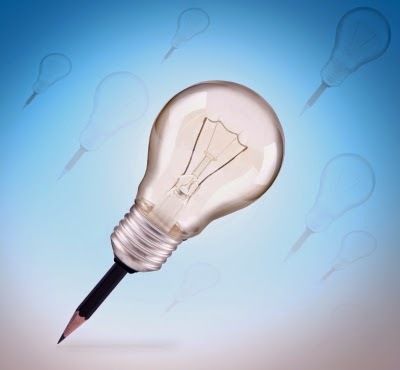 Who, What, Where, When, How and Why are the mainstays of a fiction-writer's thought process. Put yours to work here. And when you have come up with a story - and edited it, AND polished it - don't rest on your laurels. Take the same opening and write a Romance, then a Thriller, then a Crime, then a Fantasy. That should keep you occupied until next Wednesday when there will be another prompt waiting. Sign up to the blog to get it directly into your Inbox.